The décor of your house is extremely important when it comes to create an impression. With countless ways to decorate your residence you are often spoilt for choice. But in today’s troubled ecosystem it is important that you choose for yourself an eco friendly décor. Moss art in the walls is a nice way to go about making your house beautiful while going by eco friendly methods. So in this article we will tell you about wall art decoration ideas will help you to give the makeover to your house. These ideas will leave everyone amazed and yet will do nothing to harm the environment. Choose the right type of moss art: Not all the moss art that you will see is really live moss. While this may come across as a shock for you it is indeed very true. To maintain live moss in the walls is tricky business. The walls then need to be provided with a certain amount of moisture which can prove damaging for the structure. For this reason unless it is outdoors, people usually tend to avoid live moss inside the house. That too can be made possible with the right steps taken by the architect or the engineer if you pre discuss your needs with them. You can also choose to have a mixed system where some of your moss is alive and others are dead. Choose the right frame: Both to enhance your moss wall art decoration as well as to provide longevity to it, you need to have the right frame. 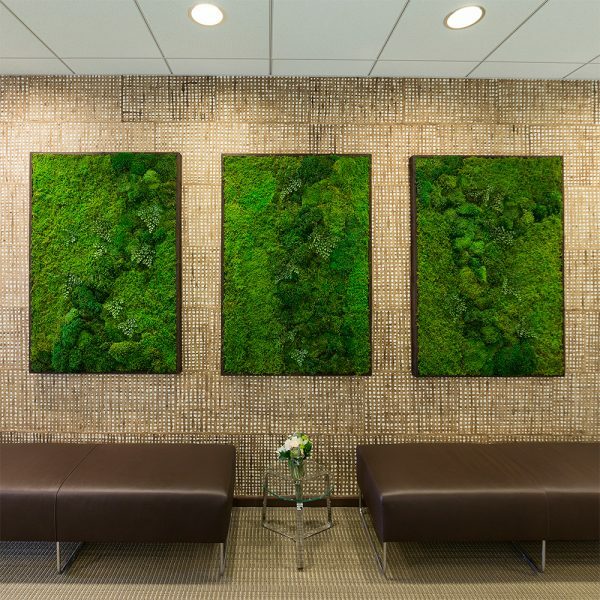 If it is a live moss wall then you can opt for the plywood frames to enhance the moss art. But if you have a living moss wall décor in mind you need to get your hands onto a soil free garden wall kit. It is important to get the frame right to have the moss art hold its sway for a long time. Choose the plants carefully: There are plenty of plants to choose from in your moss wall art decoration. The right plants will boost the looks of the art piece and also help you in the right kind of maintenance. For the preserved moss you can pick from reindeer moss, mood moss and sheet moss. If you have dried accessories in your mind you can choose from dried twigs, sponge mushroom and dried seed pods. When it comes to decorating with living plants, the likes of pothos, string of hearts and air plants will complete your eco friendly décor. Assemble as you fancy: This is quite possibly the most fun part while you implement your green ideas. Put your things together as you complete the decoration process. Put the background frame as per the moss that you have chosen and then use stuff like wood glue or some kind of staple to ensure the backbone of your art is firm. In this regard, it is important to remember that the live moss is the hardest to put together and in this regard the fake ones can be easily maneuvered. Maintain properly: Make sure that now that you have put together your moss art you maintain them properly. Since you are keen to decorate sustainably it is important that you ensure this decoration is well maintained. The preserved and artificial moss needs no dedicated effort. All you have to do is keep it clean and replace the ones that have fallen off. It needs no watering or spraying. That however is not the case when it comes to the live moss art pieces and you need to spray them with water from time to time to ensure they have enough moisture to survive. A living room with full wall moss art: This is your place to relax in the house and what better way to have it with a pinch of greenery around you. You can have a full wall moss art set up in your living room space to enhance the ambience of your house. It will feel like relaxing in your garden while staying in the comfort of your room. This is also easy to maintain and is neither a lot of hard work and nor is it expensive. In fact, if you like it that much you can take this practice to the rest of your house as well. The results we promise would be overwhelming. Moss graffiti to decorate: Moss wall art decoration is also an exhibition of your creativity. 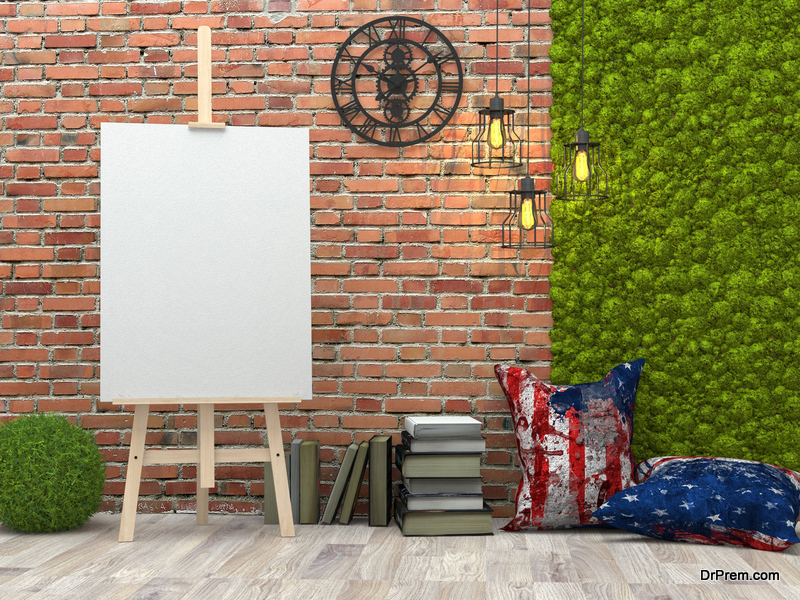 Put your artistic thoughts to use and get yourself a fancy moss art. You can decide to make letters out of the moss art and you can also try out other designs that go with the theme of your house. Best part is that you can change it when you want and you also use other decorative items in your house to enhance the look of it altogether. Moss wall art in the bathroom: The best place to put up a moss wall art decoration in your bathroom is beside the bathtub. That way every time you step in to take a shower you would feel like you just stepped amidst nature. While not many people think of putting moss wall art in bathrooms it can actually be a very good idea. Moss gardens as paintings: The setup for this décor is to be exactly like that of a painting. 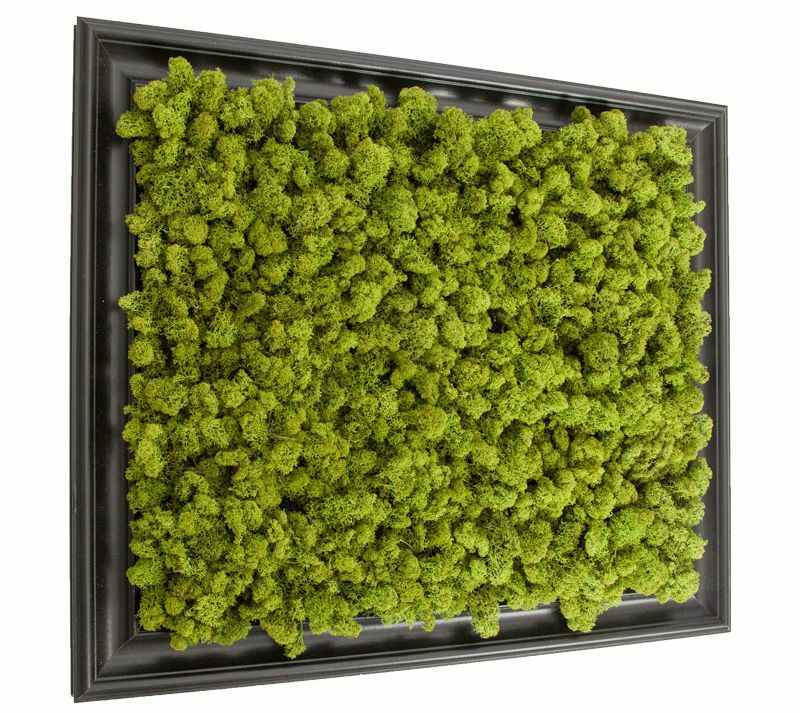 Here the idea is to have a demarcated part of your wall where you can have a realistic moss garden pop out from a frame just as though it were a painting. This will give your interiors a natural beauty with the artificial touch. Now that you know about the finest green ideas to decorate your house, go ahead and implement these. While we are looking for sustainable solutions in every aspect of our lives it is time for us to decorate sustainably as well. 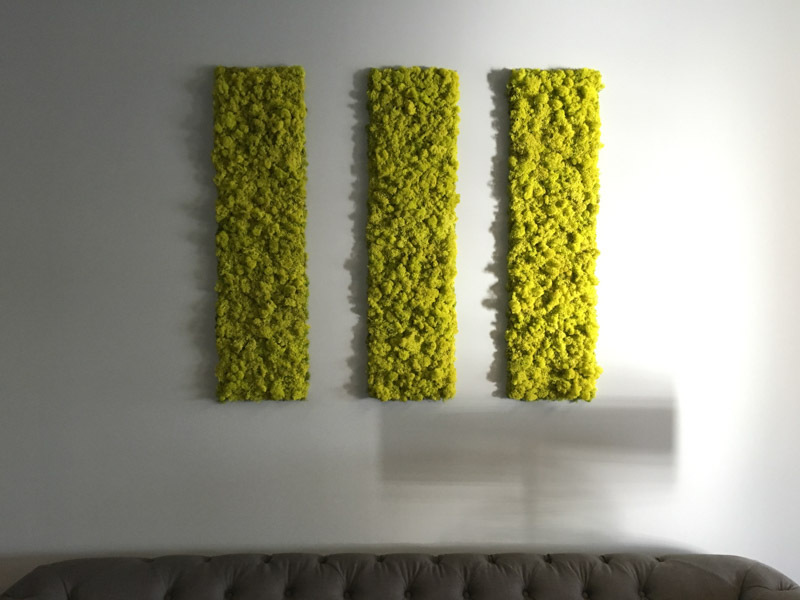 Moss wall art is just a small step ahead towards that positive direction.